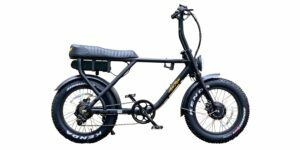 Neco H148M, Internal Cups, Straight 1-1/8"
Ariel Rider has been producing electric bikes since 2011 and the M-Class is one of their newest models. 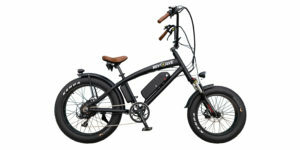 The company is best known for their classically styled cruiser electric bikes with long swept-back handlebars, oversized saddles, and hub motor drive systems… You can see this with the W-Class and N-Class. 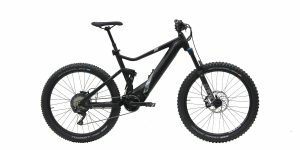 Since first reviewing those bikes in 2016, the company has grown, maintained it’s one year comprehensive warranty, and moved more towards direct sales (online only) vs. shops. 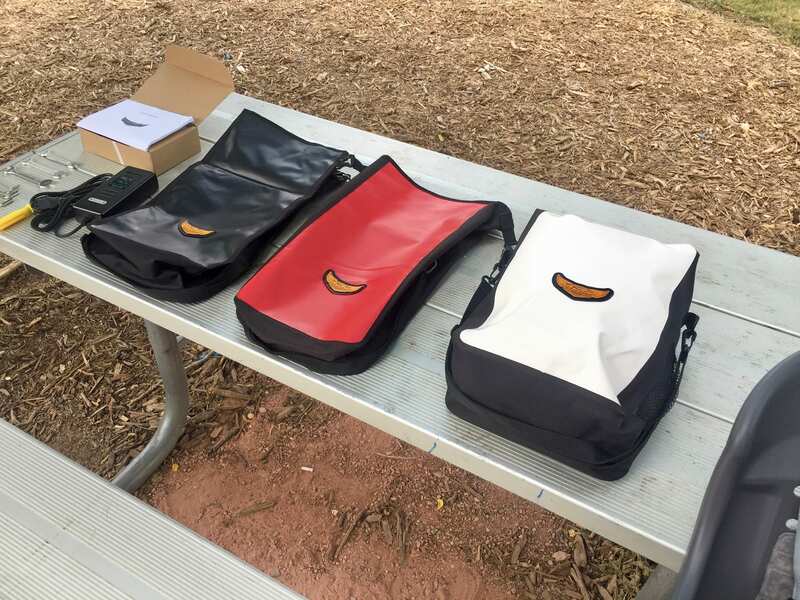 This strategy has allowed them to keep prices lower but also means that you’ll have to get your hands dirty unpacking and adjusting the product. 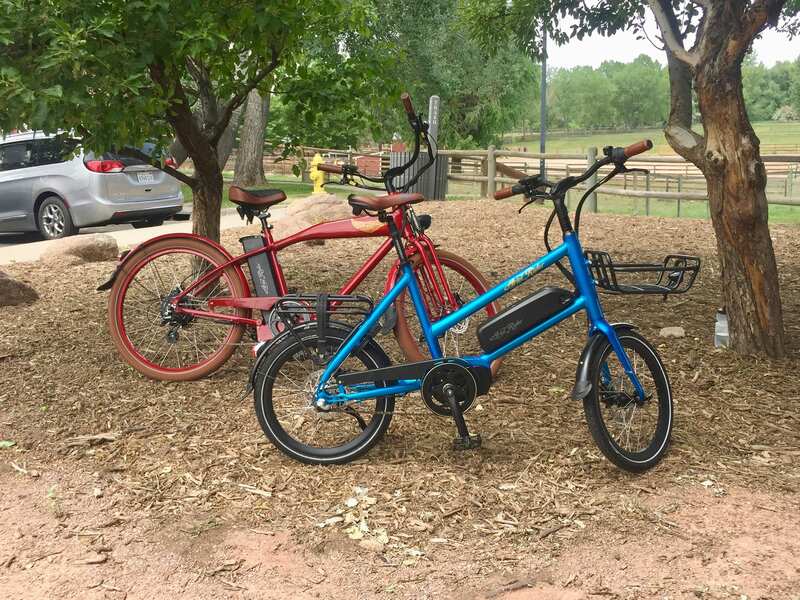 It’s always nice to test ride a bike first and actually see the colors in person, but the M-Class (which stands for mini) only comes in one frame size. 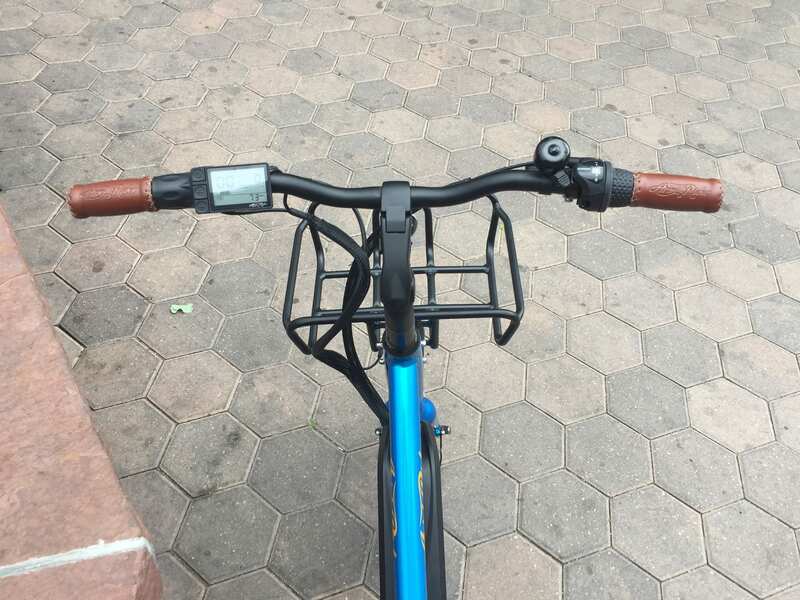 During this review, I spent extra time going over the adjustable stem and seat positioning with the founder’s brother Berk and my friend Brandy. 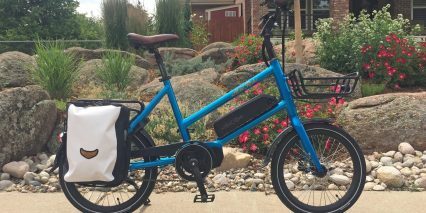 Berk is a fairly large individual who has lost over 135 pounds by riding electric bikes. He wasn’t as comfortable with the full sized models from Ariel Rider but the M-Class is low enough that he can mount easily, even stand over the saddle with both feet on the ground, and ride for 30 to 40 minutes without getting a back ache. He told me that diabetes and high blood pressure runs in his family and that his father passed away from these conditions. He used to weigh in the range of 400 lbs, which is probably above the maximum recommended weight for this product, but it worked out for him. 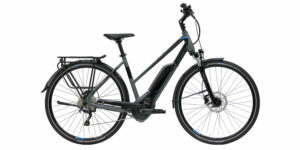 Note that smaller wheels tend to be sturdier, the aluminum alloy frame here has a top tube and downtube for increased strength, and the brakes offer more power because of the 160 and 180 mm rotors and hydraulic design. 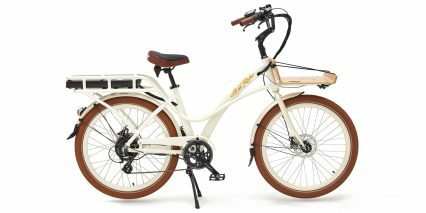 With high quality fenders, a chain cover, integrated lights, and reflective tires… they’ve nailed utility and safety. 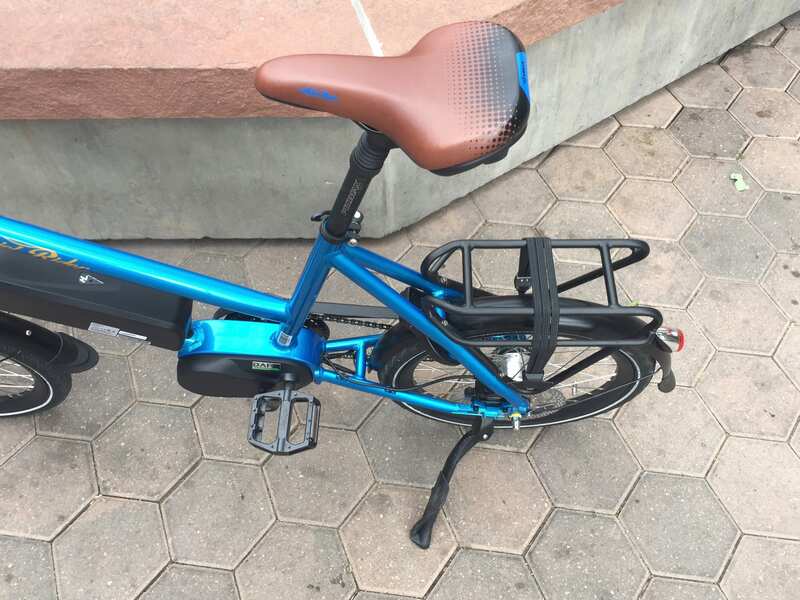 I like how the top tube protects the battery pack, note that it slides forward for removal vs. hinging up like some other designs (which requires a higher top tube and in turn, raises the stand over height). Brandy is about five foot three and a half inches, and she had no problem mounting the bike but could not stand over the saddle without being on tip toes. This is partially because the stock seat post offers 26 mm of suspension. 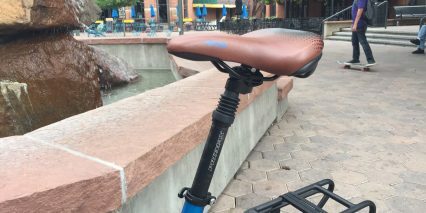 The saddle could go two or three inches lower if you were to replace the suspension post with a 28.6 mm solid post like this. Anyway, both Berk and Brandy appreciated the twist throttle on the left, easy three speed grip-shifter on the right, and comfortable padded grips. 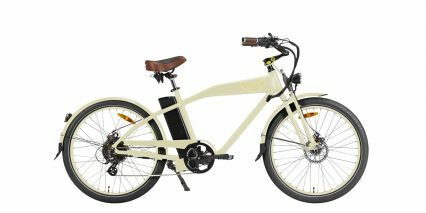 There’s so much to appreciate about this electric bike and the founder and lead designer, Arda, asked me sincerely about what I would change about the bike when all of the reviewing was finished. 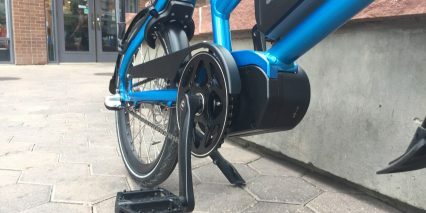 I feel that their attention to detail has lead to great decisions about hardware like the sturdy Wellgo pedals and adjustable Massload kickstand. 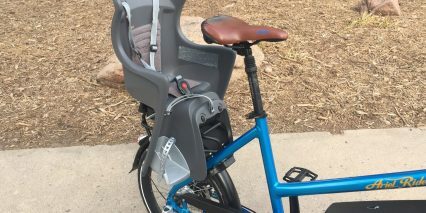 Their custom designed front and rear racks (which are sold for $70 a piece) match the bike perfectly and work seamlessly with child seats like the Yepp Nexxet Maxi and their compact panniers (which come in black, red, or white). 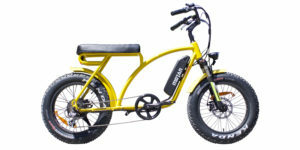 Driving the M-Class electric bike is a 500 watt internally geared centerdrive from Dapu. 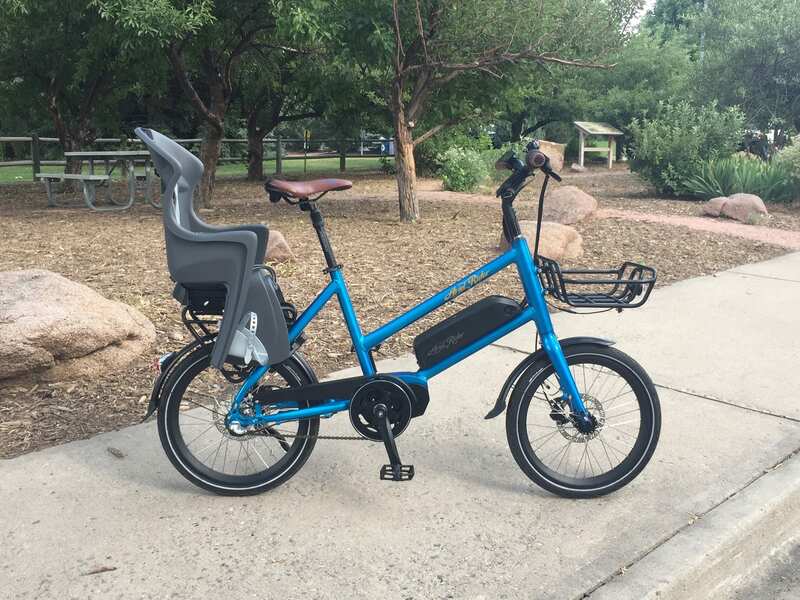 This brand produces some of the better hub motors on the market, in my opinion, and has been used frequently by other leading companies like Pedego and Easy Motion for the past several years. This is only the second time that I have tested their mid-motor because it’s relatively new, and I came away feeling very impressed. 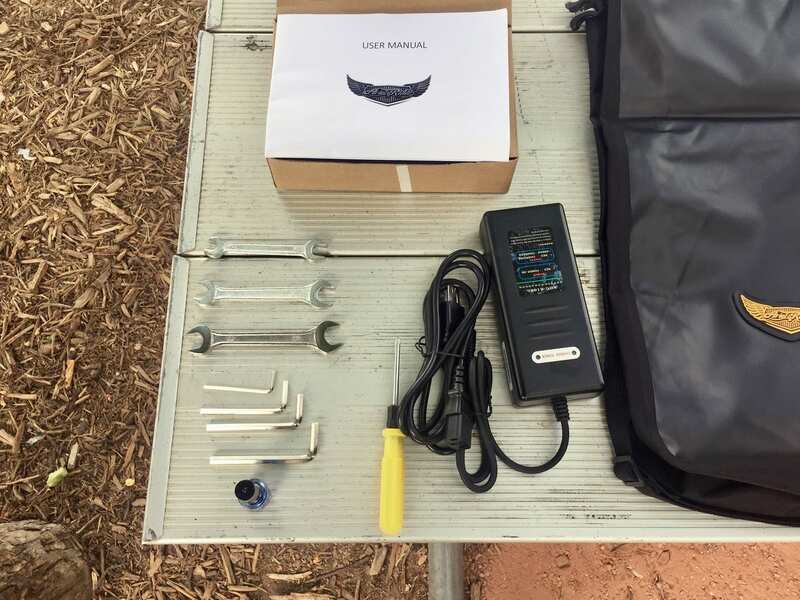 Yes, it does produce some electronic whirring noise at the higher power levels and no, it does not offer shift detection… it also weighs more than Bosch, Yamaha, and Shimano offerings that tend to be priced higher. However, the combined cadence and torque sensing assist, that the motor controller measures and responds to, worked very well and shift detection isn’t as important with an internally geared hub. 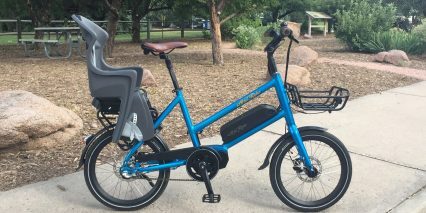 The bike felt smooth when pedaling and stopping, I never felt out of control, and this is one of the only mid-drive compact electric bikes anywhere that offers throttle operation. The only catch is that the throttle is not setup to override assist. You have to reach over with your left thumb and click the minus key on the control pad until it says zero before the twist throttle will work. Most of the other Ariel Rider products do allow for throttle override because they utilize hub motors from Dapu vs. the mid-drive. 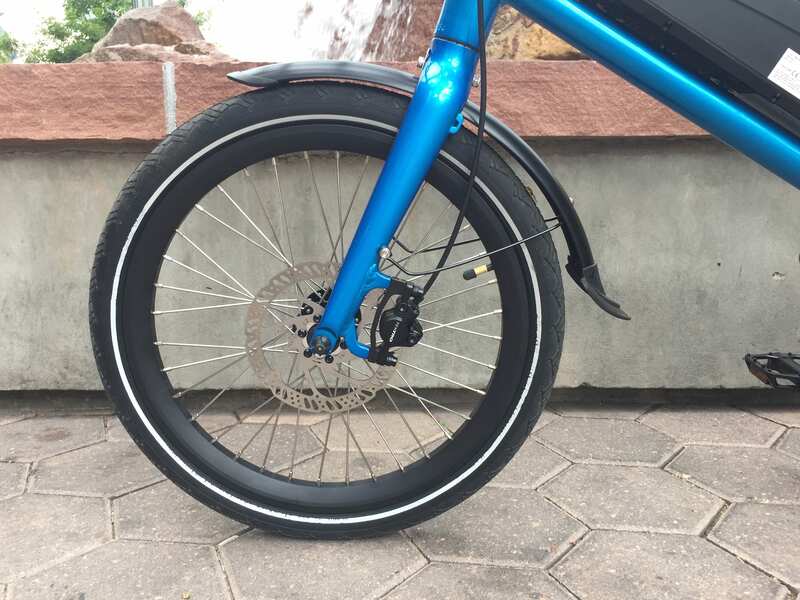 I want to point out that the chainring on the M-Class has a sturdy alloy bash guard on the outside and a support bar for the chain cover on the inside which combine to create a sort of guide, so you shouldn’t have issues with chain drop. There’s only one rear sprocket vs. a full cassette, and all of the gear switching happens inside the Shimano Nexus Inter3 hub. 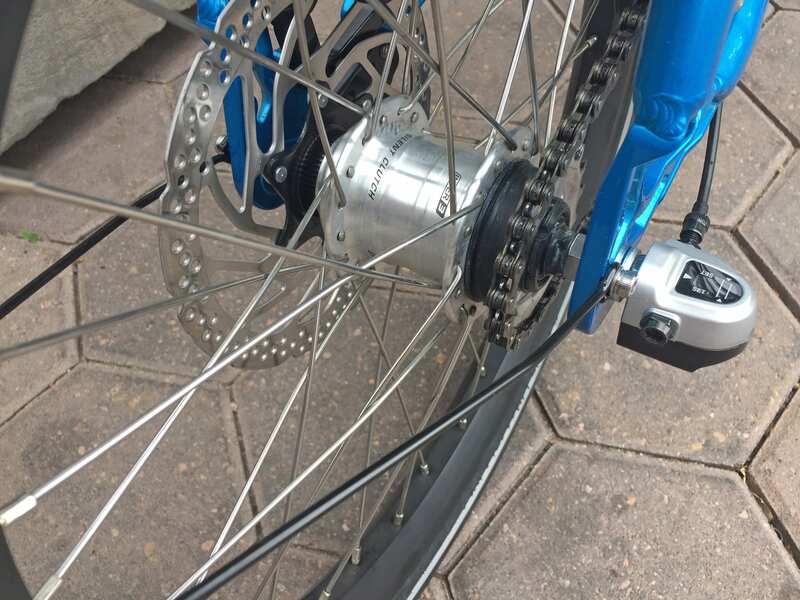 Internally geared hubs tend to be more durable than derailleur setups in my experience, and three speeds was just enough to climb moderately steep hills but also hit 20+ mph comfortably. Actually, I was able to hit 26 miles per hour by pedaling very quickly but also comfortably. 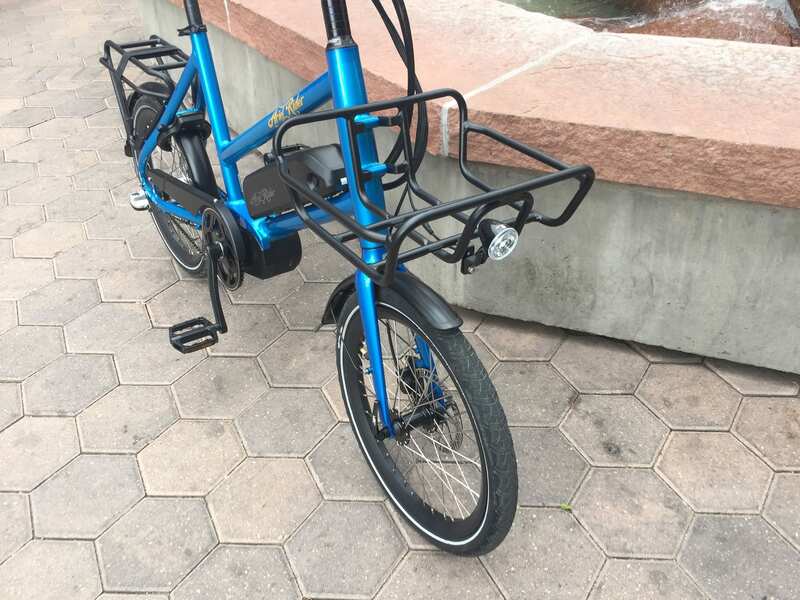 The crank arms used on this ebike are slightly shorter 165 mm in order to reduce pedal strikes when turning, this is important because of the lower frame (smaller 20″ wheels bring the frame down). 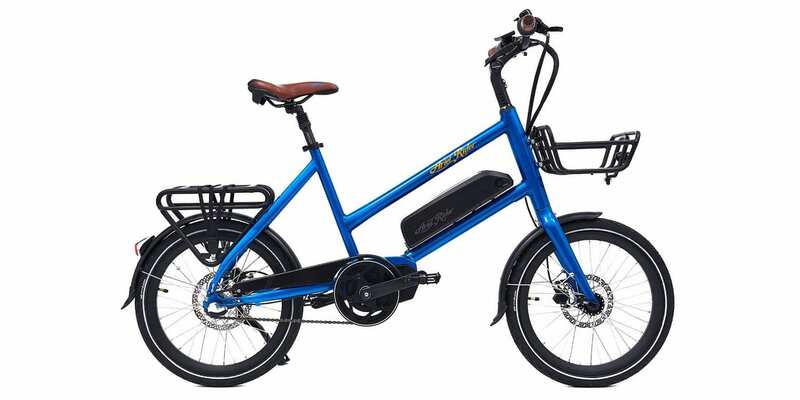 All in all, this motor and drivetrain deliver efficiency and an impressive amount of power, up to 95 Newton meters, and is backed by a name that I recognize and trust in the space, Dapu. 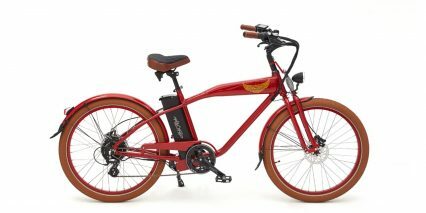 Powering the motor, backlit LCD display panel, and integrated lights from Blaze-Lite and Spanninga is a sleek 48 volt 11.6 amp hour lithium-ion battery pack that slide-mounts to the downtube. If this pack mounted from above, like the Bosch Powerpack, the company wouldn’t have been able to lower the top tube so much. 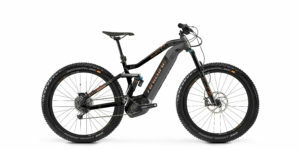 I love where the positioned the battery, low and center on the frame for improved balance and steady handling. 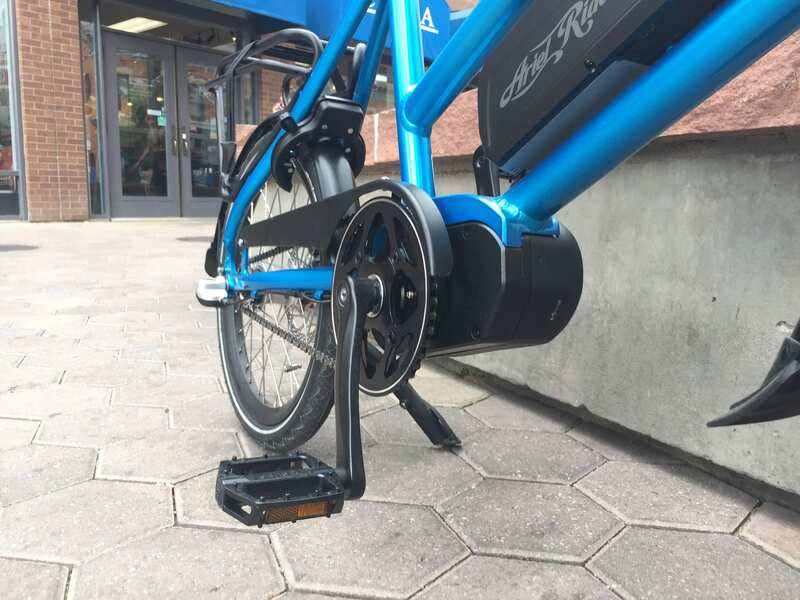 The battery weighs almost seven pounds, so it’s wonderful to be able to remove it if you’re climbing stairs, mounting the bike to a car rack, or performing maintenance. The 18650 battery cells inside the pack are produced by Samsung and offer great energy density meaning that you get more power for the same size and nearly same weight of each cell. To maximize their lifespan, it’s best to store the battery in a cool, dry location. It’s also best to avoid completely draining the pack, some companies recommend charging when it gets down to 20% full. 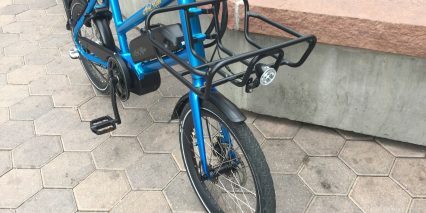 You can charge on or off the frame, and I like how the plug is positioned up high near the top of the pack on the right side, vs. way down low near the crank arms. I see that design on a lot of competing products and it always concerns me because you don’t want to bend the plug or snag the wire. The battery charger itself is fairly compact and lightweight, it uses a smaller circular plug that could be a little weaker than some, so just be careful with it. 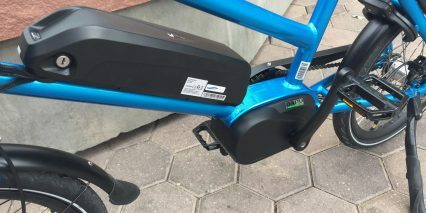 The battery pack is one of the most expensive parts of an electric bike and this one does not have a handle, so handle with care. While I like the design and relatively high capacity of this pack, it would have been nice to have a little USB port somewhere to tap into. 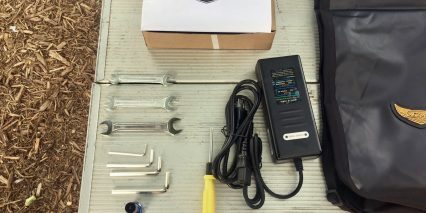 I often use these for maintaining my cell phone or powering additional lights or speakers when riding electric bicycles but have heard that they can add electrical complexity and reliability issues in some cases… so, whatever. Depending on your weight, the terrain, the weather, and the level of assist and throttle used, expect at least 25 miles and up to 75. Operating this bike is fairly comfortable and intuitive. The display panel is clean and compact, with only three buttons to interact with. 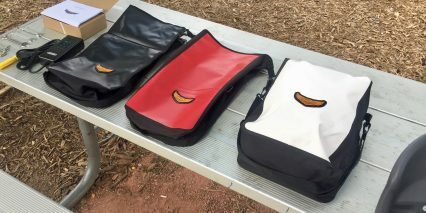 It isn’t removable and doesn’t swivel easily, so it could take some damage at public racks or in your car during transport, and it might glare or reflect at times. 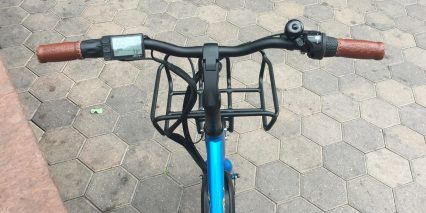 Once the battery pack is charged up and mounted to the frame, just hold the little power button at the top left edge of the display to power it on. 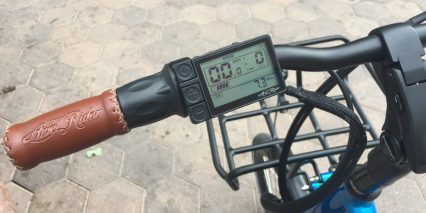 The monochrome readout blinks on fairly quickly showing your current speed, a power meter, assistance level (0-6), the battery charge level, and some trip stats below. You can change the readouts by tapping the power button, and this will show average speed, max speed, odometer, and trip time. Most of your interaction will probably be clicking the plus and minus keys to raise or lower the pedal assist level. 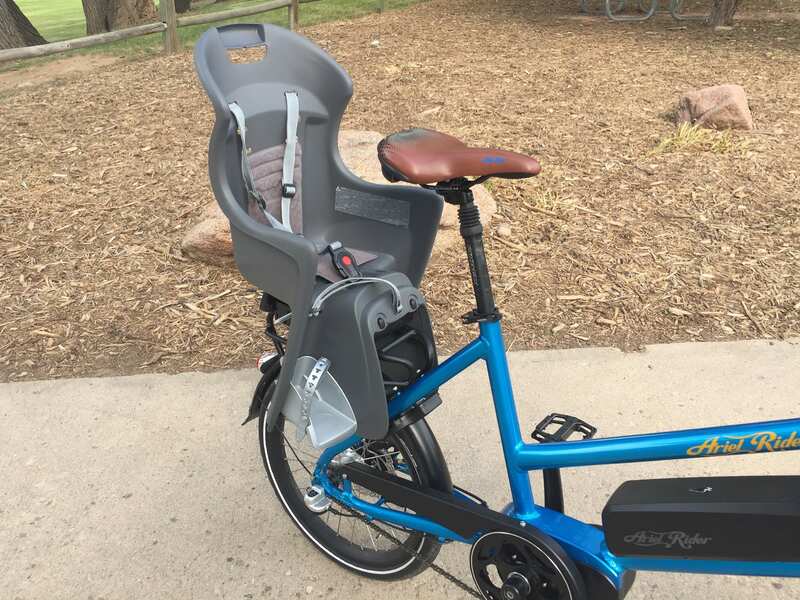 The bike starts off in level three and Arda explained that they chose this because it offered a balance between convenience and safety. Remember, the throttle is only active in assist level zero, so you won’t accidentally zip off when the bike starts up in level three. The pedal assist sensor is pretty smart here, so it won’t zip off if you put pressure on the pedal but aren’t moving the crank arms. I found myself clicking up to level four or five assist just for fun, and then clicking -, -, -, -, repeatedly to use the twist throttle. Part of me wishes that the throttle could override at all times with full power, and maybe just have a physical on/off switch for safety. 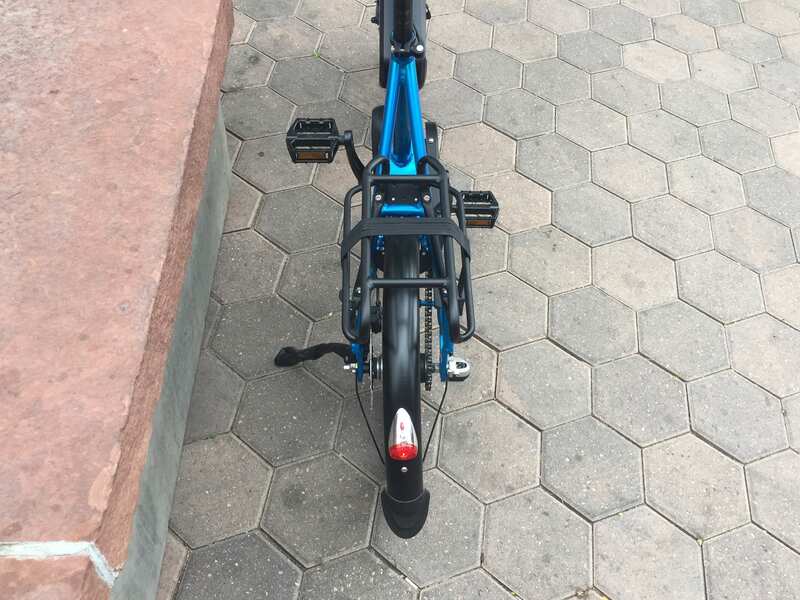 Again, I’m grateful that the bike has a throttle at all, and I found that my pedal strokes felt natural and comfortable because of the adjustable seat post and handlebar. I pulled the handle up and back using the tool-free adjustable stem for a more upright body position and easier read on the display. You can activate the display backlighting by holding the + button and activate walk mode by holding the – button (for 7 km/h 3.7 mph assistance). 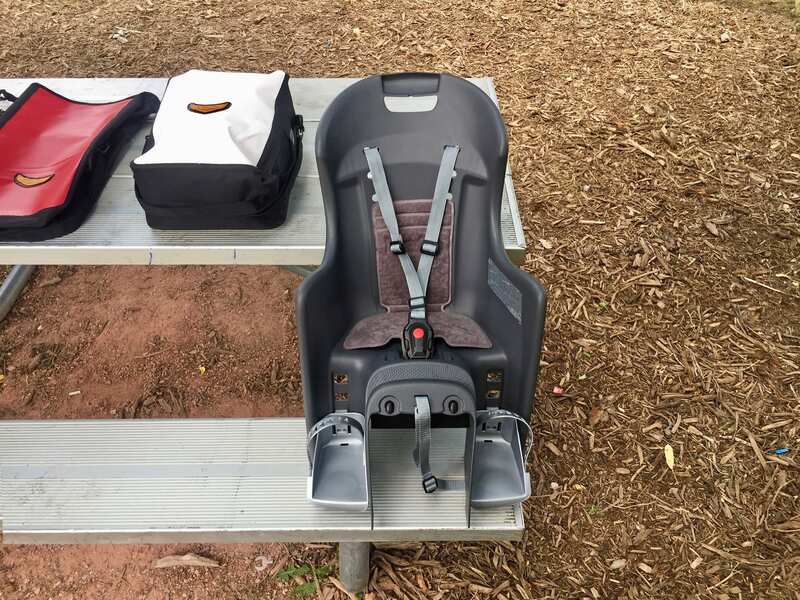 Walk mode is nice to have if you’ve got a fully loaded rack or child seat on the back and you’re cutting through a park or get a flat tire etc. There are even more settings to explore in the menu system by double tapping the power button. This is where you can change units, adjust backlight brightness, and raise or lower the top speed by entering password 1919 at the last screen. 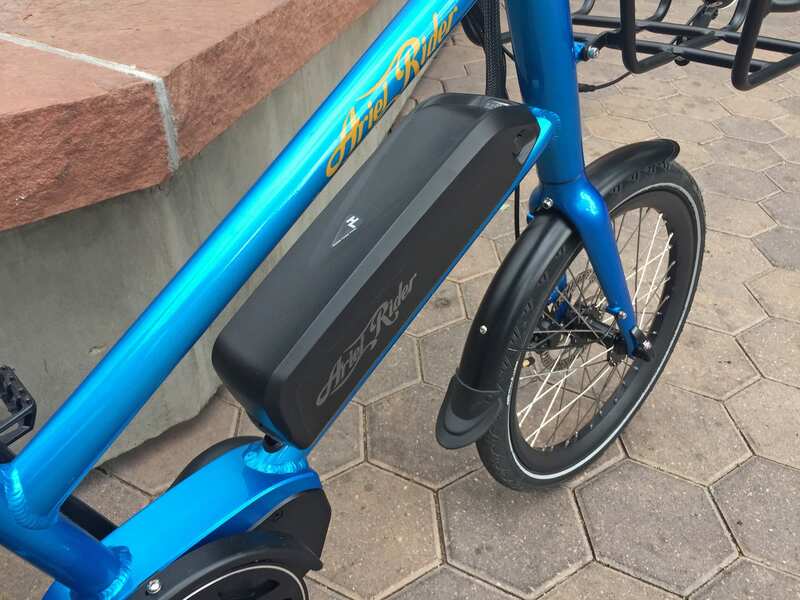 While I do have some minor gripes about this ebike, I feel that by and large Ariel Rider has done an excellent job delivering quality at a value price point. 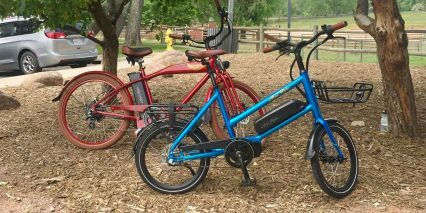 These compact electric bikes are fun and accessible. 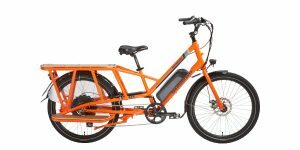 They feel sturdier than folding ebikes and tend to weigh less. This one came in around 47.5 lbs without the racks and optional cafe lock. I’d love it if the throttle could override assist because it’s no fun clicking down from assist level six to zero and then back up again, the charger is a bit basic and slow given the high capacity of the battery, it would be nice to have bottle cage bosses somewhere, puncture resistant tires, and a suspension fork… but at least the tires are reflective, the saddle and grips are comfy, and the seat post suspension comes stock and is adjustable. Try to avoid flats by keeping the tires inflated between the recommended 35 to 45 PSI. Higher pressure will roll more efficiently and accommodate heavier loads but offer less comfort. 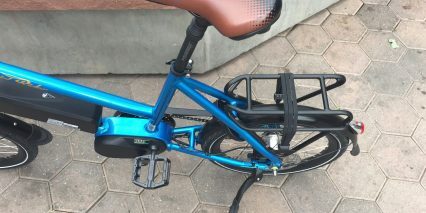 It was interesting to see how many parts were branded on this ebike, it really felt like a higher end product. 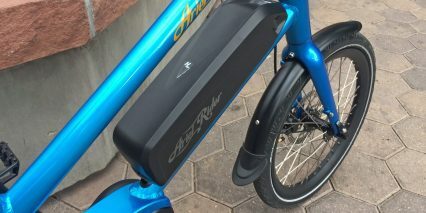 Everything from the grips, saddle, display, and battery pack say Ariel Rider… but the branding on the frame is minimal. To me, the bike looks classy vs. flashy and the metallic paint is beautiful. 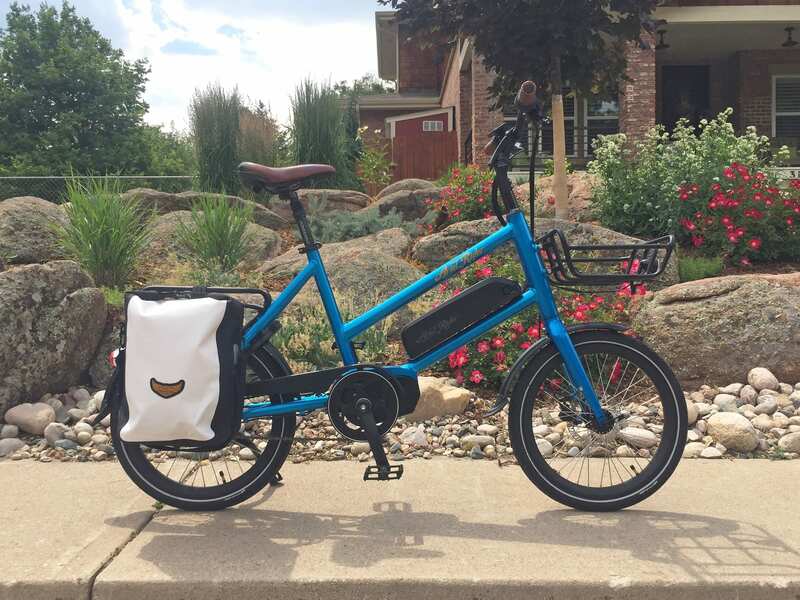 Almost all of the accents are black (fenders, chain cover, rims, seat post, stem, handlebar, baskets), and the faux leather grips and saddle match perfectly. Do note that if you opt for the front basket and move the headlight onto the little tab there, it will no longer point where you steer. 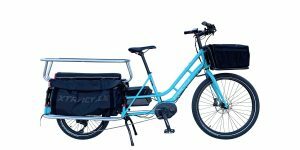 Ariel Rider has opted for a frame mounted basket to separate the weight of front cargo from steering… it’s the right choice for strength and stability but can feel a bit awkward at first when you turn the handlebar but don’t see the front wheel moving (because it’s blocked by the stationary basket). 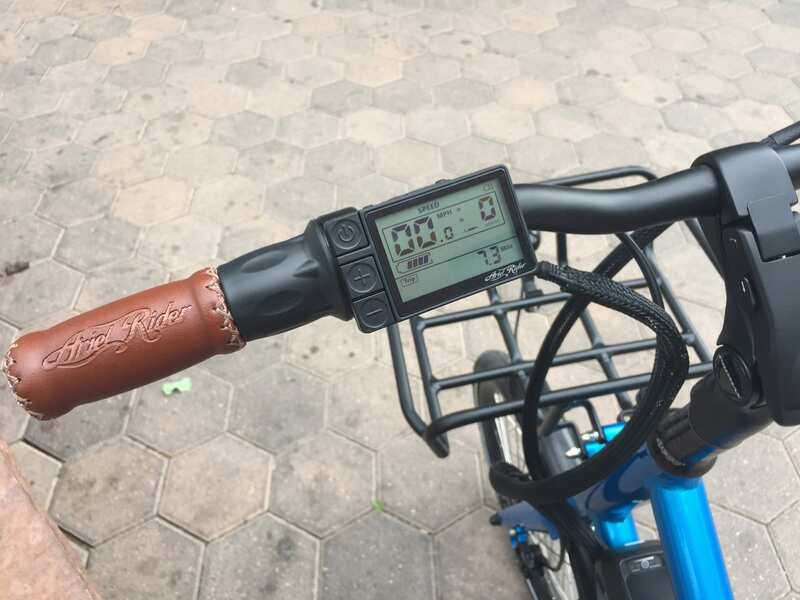 It’s really inspiring to hear how electric bikes can change people’s lives, allowing them to keep up with friends, get to work without sweating so much, or lose a bunch of weight without back pain or over exertion. It’s handy to have a throttle when climbing or just feeling tired. Big thanks to Ariel Rider for partnering with me on this post and demoing all of their accessories and other bikes back to back. I’ll do my best to answer questions in the comments below and welcome you to engage with other owners in the Ariel Rider Forums. 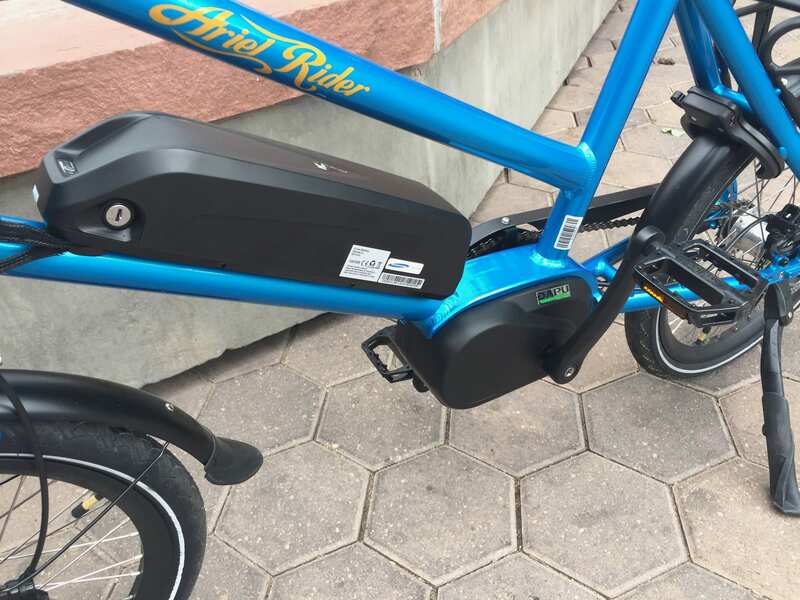 Excellent battery position: low, centered, and protected by frame tubing from below and above, it’s also great that you can remove it for charging separately or reducing bike weight when transporting on a car rack etc. I wonder if it would be problematic to convert to an Alfine 8. 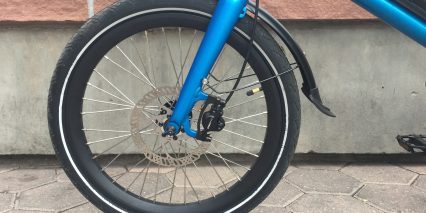 Maybe the rear wheel of the Orbea Katu-E 10 could replace this one for an easy conversion? 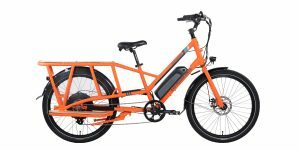 I do like how this bike doesn’t scream E-BIKE! 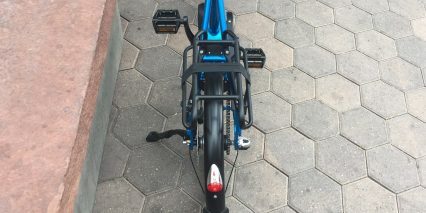 ; the blue-black color downplays the motor enough that it can pass as a regular bike. I don’t know much about Dapu motors, I hope people let us know about their experiences with it. Hi Court , my concern is the warranty, if the bike needed repair where do I take it to? and if the company refuse to honor the warranty what recourse would I have since it’ll be a online purchase? Thx. Court! P.s. I am in Los Angeles. Anyone know how many amps the Dapu-MD500 motor controller has? 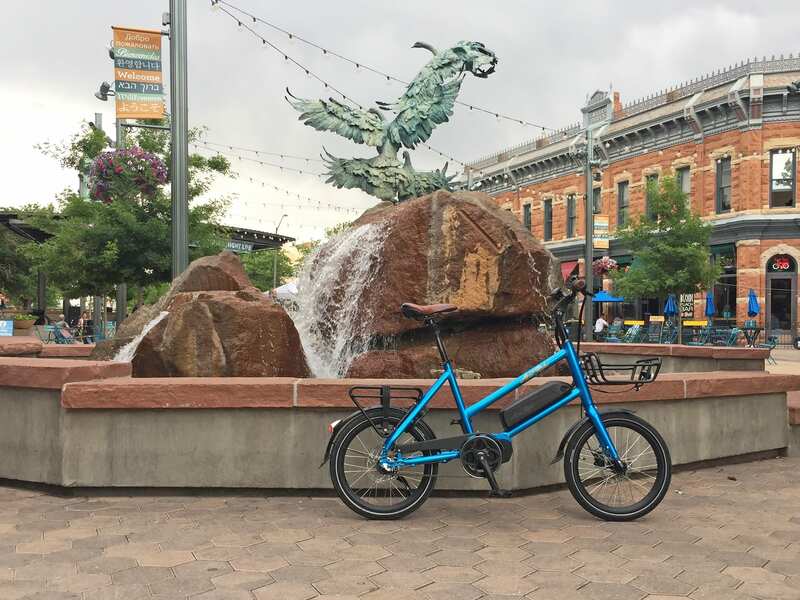 How does this bike ride compared to other 20″ bikes. My concern is short wheelbase combined 1.7″ tires will result in an annoyingly harsh ride. Also, I have not been able to find much info about the Dapu mid-drive. I know it’s not at the same level as the big 4 (Bosch, Brose, Yamaha, Shimano), but how would you say it compares to a Bosch? Does it activate quickly and smoothly? Is the speed easy to modulate? 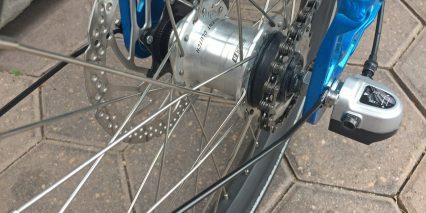 For a budget bike, they might have been better served sticking with the hub motor. 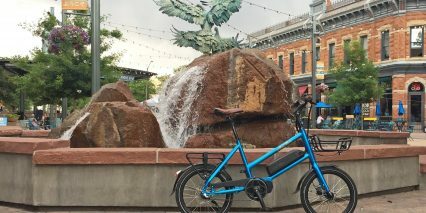 Hi Ranny, I’d say that it feels similar to the other folding or compact ebikes I’ve tested over the years, but it’s nice to have suspension built in from the start! I also like the adjustable stem and padded grips. 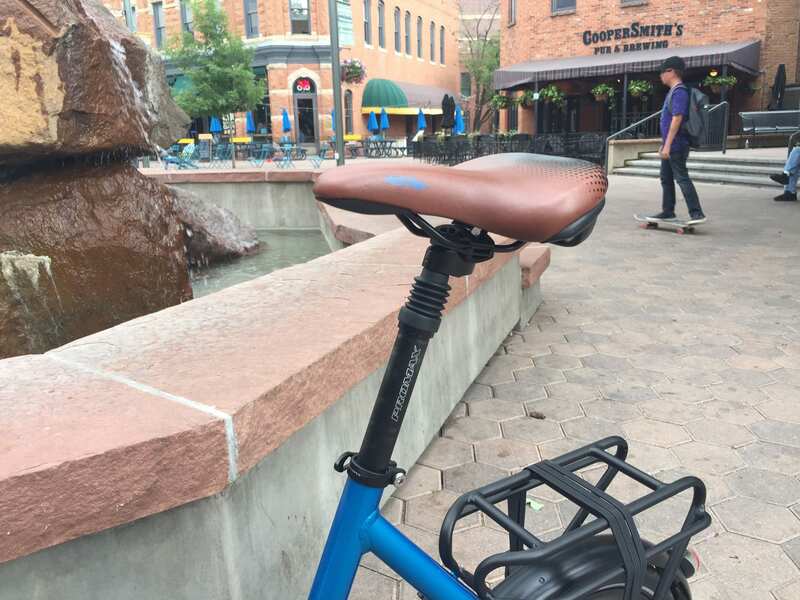 For lower speeds and shorter rides on relatively smooth streets or sidewalks, it works pretty well. My fenders are pure plastic, there are no metal runners. If these were equipped just for the review, then that is somewhat deceitful. The tires/tubes are very cheap, and wore out very soon (~250 miles). I replaced them with Schwalbe Marathon, and its much better. The panniers sold by Ariel Rider are very basic and overpriced. They don’t even fit properly (the reason I got them). You are better off getting aftermarket ones. The rear rack is good, but not long enough. 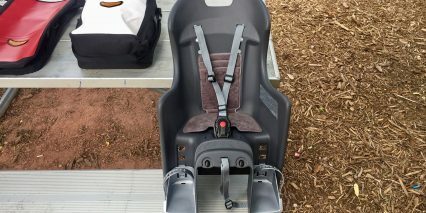 When panniers or a child seat is added, my feet hit the panniers/child seat. an extra inch of length night have helped. 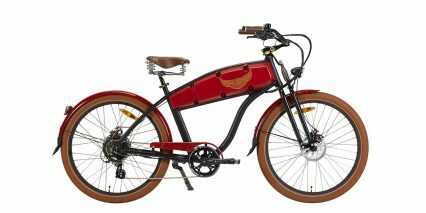 Since you seem to be the only person on earth I can find who actually bought this bike besides the traveling couple who have a YouTube video review of the bikes (and they are not answering comments) I hope you can give me some feedback on this bike because I am seriously considering buying it based on the specs, size, etc. I have a few concerns that I would really like to hear your thoughts about. Range: Is it as good as they claim? What would you consider “real world” range on this bike, say at medium assist levels? Comfort: Is it comfortable enough for long rides? Handling under load: How is the handling when you have it loaded up? Do you feel under control on the downhills with a bunch of weight on it? It seems like they have upgraded to a 7-speed hub, at least that is what the website now claims. I can’t find the cafe lock being offered anymore, though. I’d love to hear if anyone is using this for 10+ mile commutes, or if this should only be considered a short-distance bike.